Our monthly showcase at The Ned this month featured Eliza and The Bear, Two Ways Home, Eddy Smith & The 507, and Joe Slater. We’re back on the 12th, see below! We had an amazing night at St Pauls Covent Garden, raising funds for Sightsavers, joined by Mo Pleasure from Earth Wind & Fire, Charlotte Kelly from Soul II Soul, Georgia & The Vintage Youth and many more. We’re well underway at the new ICON Outlet at the O2 – TALENTBANQ artists owning the shopping floor until Christmas!! We had our monthly showcase in association with Caffe Nero at Studio88 with Oscar Corney & band. Reno & Rome performed at the ‘Rising’ series, raising money for WarChilUK. Don’t miss Eddy Smith this Sunday 4th! 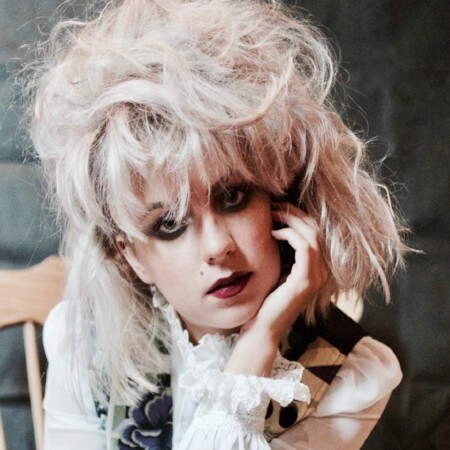 We welcomed Barbarella’s Bang Bang to the TALENTBANQ roster! 12th Nov – Last Ned of the year for us! 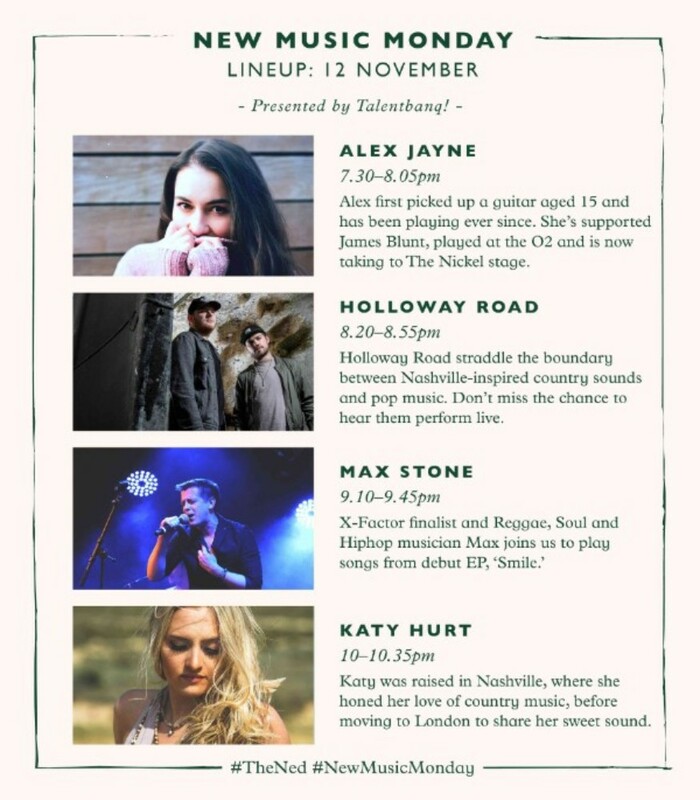 We are proud to present Alex Jayne, Holloway Road, Max Stone, and Katy Hurt. 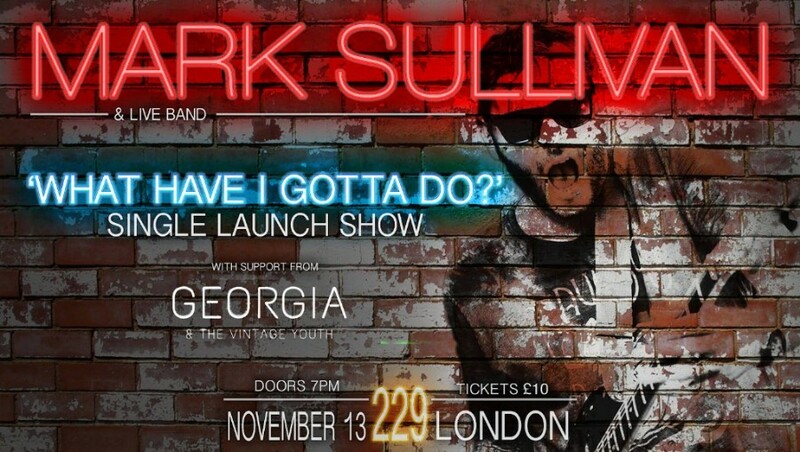 Master of the loop pedal and phenomenal guitarist, Mark Sullivan with full band launches his blistering new single “What Have I Gotta Do ?”. With opening set by Georgia and The Vintage Youth, you just have to be there! 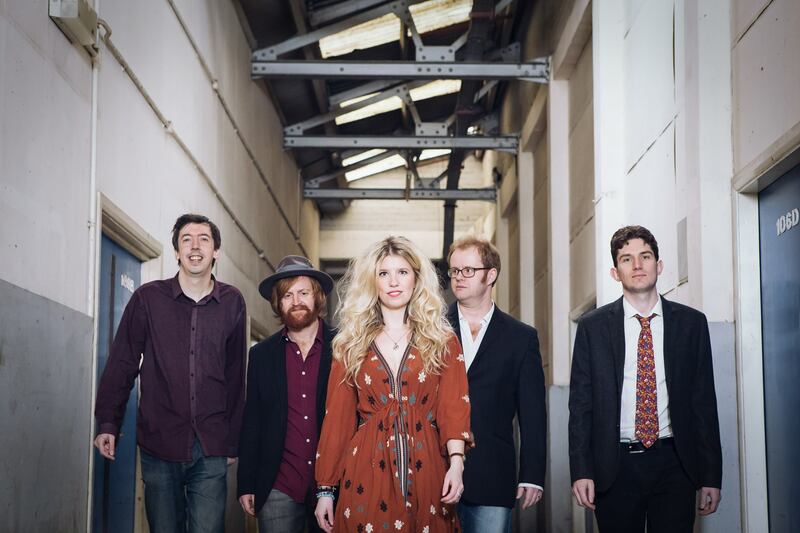 The multi-award winning Cambridge based indie Folk-Rock and Americana band bring their excellent UK tour to the capital for a special London launch night. Acclaimed everywhere from the BBC (“Utter quality”) to Classic Rock (“Ambitious and electrifying”), he’s a guitar visionary whose palette bleeds into folk, rock, ambient and electronica. He will be joined by Eddy Smith & The 507 and Ruby & The Revelators. New Series at The Kings Place, Kings Cross! On select Tuesday and Thursday evenings, TALENTBANQ artists will setting the piano and the Rotunda on fire. 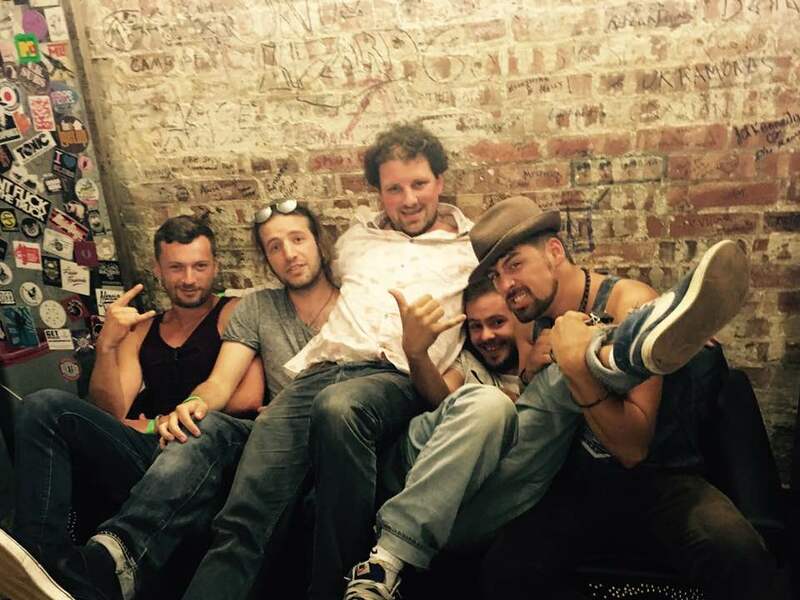 Come see Georgia & The Vintage this Thursday 8th Nov! It’s nearly the festive season! 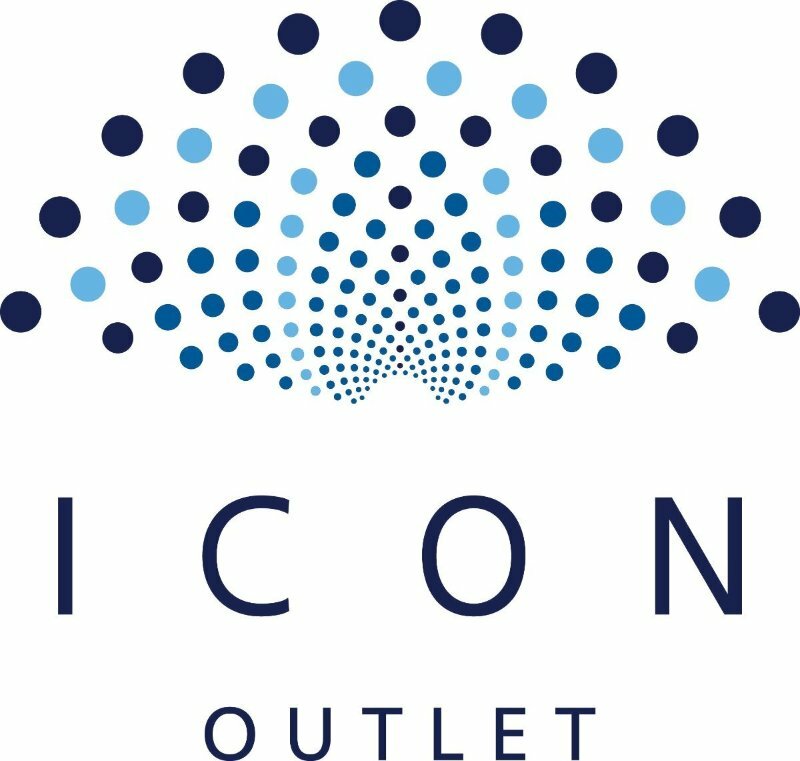 Make sure you head to the ICON Outlet at the O2 for some shopping and live music, and come support the single and album launches happening this month!